You know what’s scary? It’s been 22 years since the world first met the Sanderson sisters in what is - in our opinion - the best Halloween movie ever made! Which makes us feel old, but luckily for us, this movie doesn’t! It’s still just as much fun to watch these three wacky witchy sisters run amok - amok, amok, amok! - through Salem on a madcap quest to steal the souls of children so they can live forever. In fact, watching it every year makes us so happy that we just wanna grab the nearest vacuum and soar beneath a full moon, singing at the top of our lungs! And now that you’ve got a little magical creature of your own, you get to experience the magic of this childhood rite of passage all over again1 They might be a little too young, yet, to ask if you have enough salt in the house or ignore them when they want to know what “yabos” are (hot tip: Just pull out some old Madonna albums when they get old enough to wonder why that Mrs. Dennison is wearing a really pointy cone bustier! 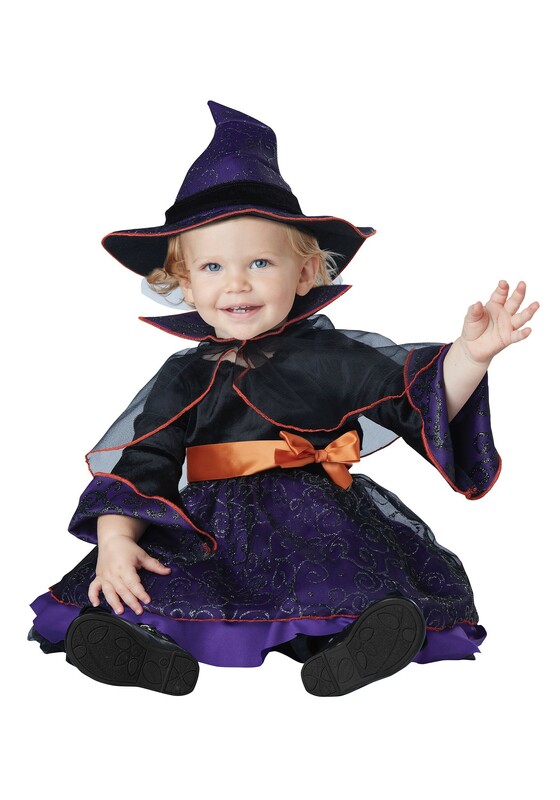 ), but it’s never too early to start them out right with a little witchcraft of their own! And that’s where this Infant Hocus Pocus Costume comes in perfectly! Even if she can’t stir the boiling cauldron or read the spell recipes, in this darling get-up, she’ll still be charming the pants off of anyone she meets! This costume is an adorable way to start your family's Halloween traditions out right. All it's going to take is a little Hocus Pocus!